Interesting news from Bauer Media this morning. 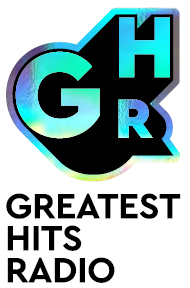 They’re launching Greatest Hits Radio nationally from January 7th, to sit alongside Hits Radio. Together they will form the Hits Radio Network. It sounds like this new mostly networked service is being positioned as a slightly older version of Absolute Radio Network. It will target 40-59 “Reclaimers,” playing “the biggest songs of the 70s, 80s and 90s” from artists like Queen, Blondie, INXS and Michael Jackson. The station is going onto national DAB, but interestingly is also going to replace Absolute Radio on the West Midlands 105.2FM frequency, as well as 105.9 FM in Liverpool (where Radio City 2 was already effectively this format). 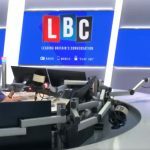 This will also be the default AM service across Bauer’s city brands, but with separate English and Scottish breakfast shows. This looks to be part of a larger dual-pronged approach to radio brands under Bauer. There are the big national brands like Absolute, Magic and Kiss, and now Hits. But importantly, they can sell national, regional and local advertising as Global can do with its brands. But Bauer looks to be retaining local FM stations across primarily northern England and Scotland. And while I suspect that Global will jump fairly early “nationalising” its stations to a large extent, it’s not certain that Bauer will do this in peak.